The rapid rise of BABYMETAL as a global phenomenon certainly took people by surprise. That it happened in a period of time in which other Japanese outfits have been trying their own best to gain a foothold in the west speaks volumes. This of course is without factoring in the legendary live shows that BABYMETAL have also become famous for. Boasting both a sense of theatre as well as an energetic rock performance, BABYMETAL managed to undo any arguments from the music fundamentalist corner that the success of idol acts was an affront to ‘authenticity’. 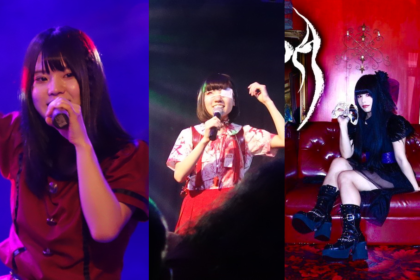 Yet despite BABYMETAL’s initial success, it could be argued that the trio had simply managed to capture lightning in a bottle once with their debut. 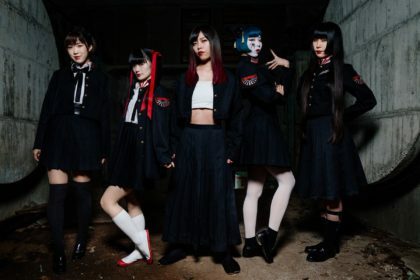 But the outfit’s follow-up release METAL RESISTANCE (once again under the masterful hand of metal-meister Kobametal) manages to dispel any doubts in that area, while still managing to broaden the sound and style of BABYMETAL. 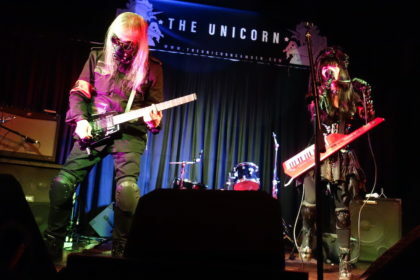 Opener ‘Road Of Resistance’ had originally been performed at the outfit’s 2014 UK performance at the O2 Brixton (and also features an uncredited appearance by two members of DragonForce). 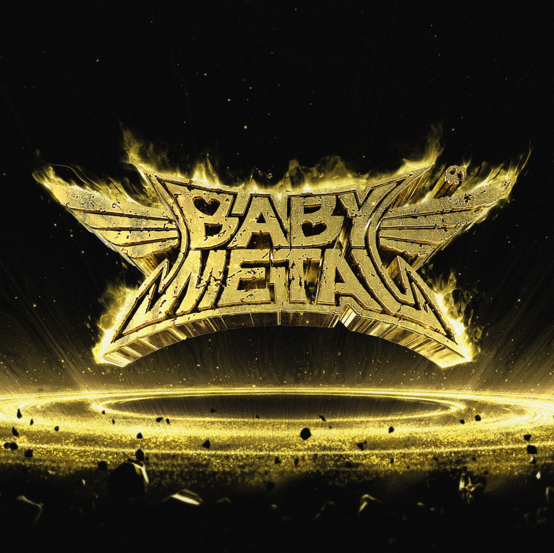 It’s a frenetic number with a driving percussive rhythm that sets the stage perfectly for BABYMETAL’s sophomore album. ‘KARATE’ is a curious composition with its ominous, broody guitars offset by the at-times choral vocals. It’s a song that seems almost custom made for rousing singalongs at concerts. It’s also evidence of an outfit taking a step beyond their boundaries and willing to experiment. There’s a more electronic flavour to ‘YAVA!’ which also allows for a more up-front vocal performance. 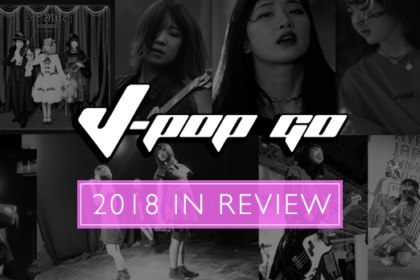 Elsewhere, the restrained intro to ‘Amore’ gives way to energetic guitars as its striding melodies offer a good serving of J-pop amidst the guitar frenzy. ‘Meta Taro’ is another curiosity with its power pop pretensions and military beat. On paper, it’s yet again a step away from the BABYMETAL template, but yet again it manages to craft its own magic in execution. The outfit return to a more familiar theme with the weaving together of metal and idol pop of ‘GJ!’ Meanwhile, ‘Sis. Anger’ opts for chugging guitars offset with an almost marching beat tattoo carried by the vocals. ‘No Rain, No Rainbow’ provides a gear change so abrupt that it’s easy to confuse it for a song from a completely different album. Originally written at the time of their debut album, it’s a perfect showcase for the vocal range of Su-metal. The metal guitars take a break here for a more strings-driven ballad, which dips its toes into power rock on occasion. Stepping back into rock territory, the chaotic tones of ‘Tales Of The Destinies’ gives our metal muses a more theatrical polish even as it jumps back and forth in approach and style. One of the bonus tracks for the non-Japanese release of METAL RESISTANCE is ‘THE ONE’. Here, BABYMETAL opt for an ambitious approach by having Su-metal deliver the lyrics in English. It’s a bold move which has drawn controversy with other artists (as Perfume can testify), but Su delivers a flawless performance on a song which also clocks in as the album’s longest. METAL RESISTANCE managed an impressive No. 2 in the domestic Oricon charts, but also took a respectable No. 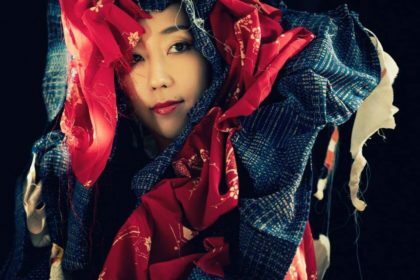 15 in the UK album charts – the highest any Japanese band has achieved to date. As an album, METAL RESISTANCE manages to provide a seamless continuation from their debut release, yet also manages to push the envelope of what the outfit are capable of. While there may not be any direct contenders for follow-ups to the likes of ‘Gimme Chocolate! !’ on METAL RESISTANCE (which might lose some of the group’s more casual listeners), there’s an energetic quality to the album that will certainly deliver rewards for those willing to invest time. The Fox God has clearly smiled on BABYMETAL as they confidently stride onto a global stage that has embraced them. 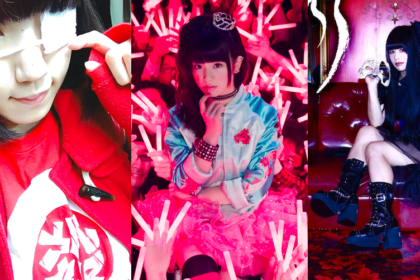 Along for the ride will (we can but hope) be larger audiences for both Japan’s own metal outfits and idol outfits in due course.